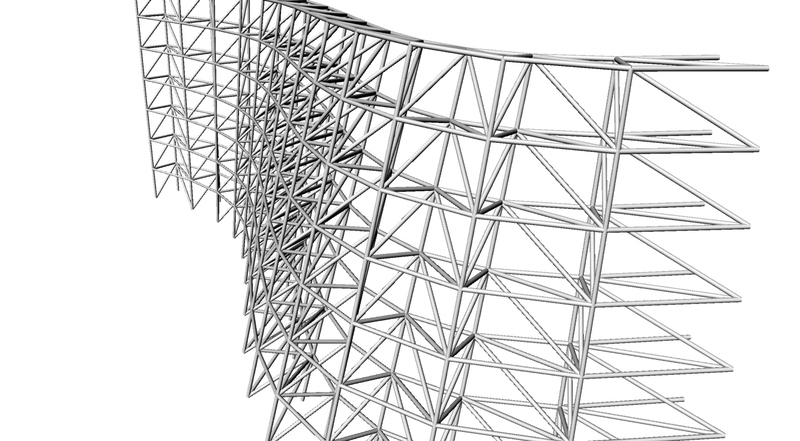 Continuing last week's exercise, this week, we learn how to construct a tower's tructure and skin with various constraints: program area, floor-to-floor height, column size, etc. 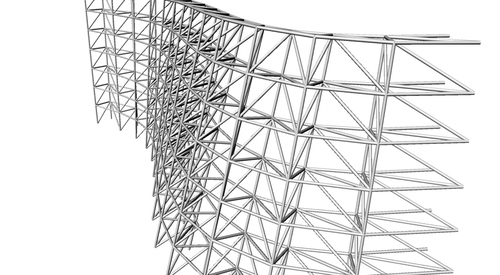 Also, by understanding the data tree and format, we learn how to create a space truss structure in grasshopper. 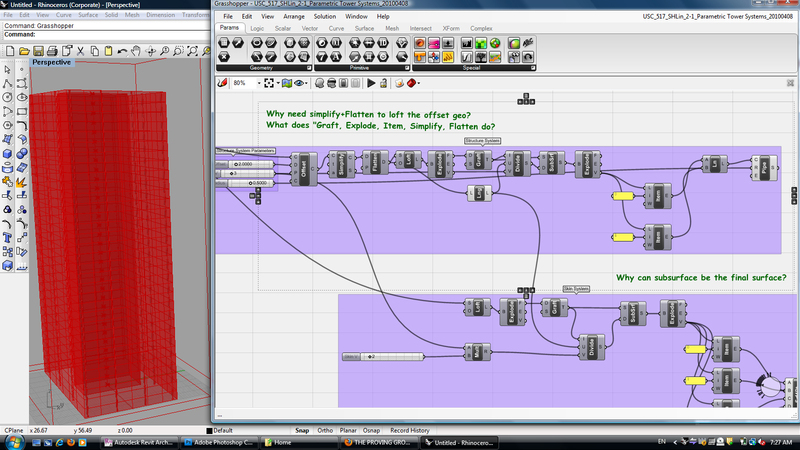 Learning: "Simplify," "Flatten," "Graft." 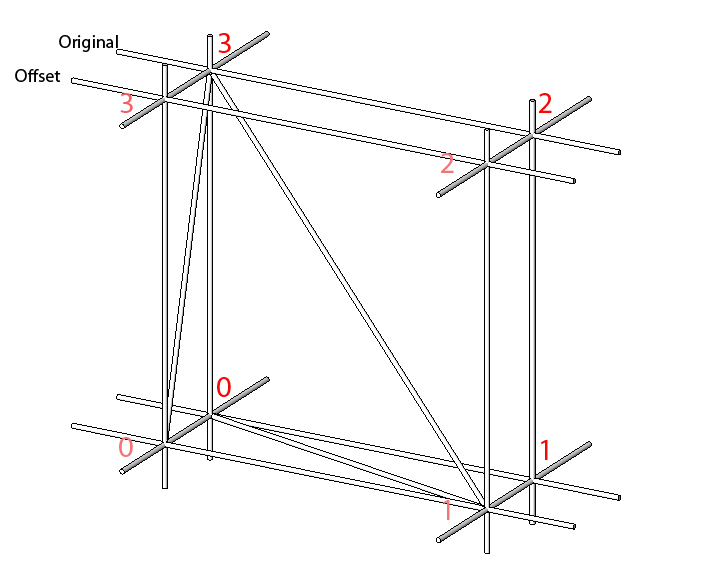 Questions: 1. why need Simplify+Flatten to loft the offset geometry? I tried to loft without them..didn't work. 2. What do "Graft," "Explode," "Simplify" & "Flatten" do? 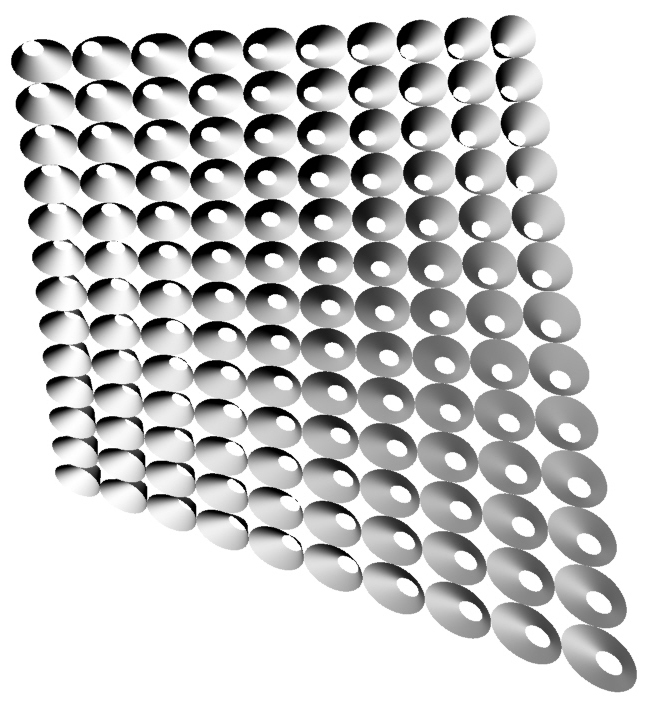 Surface Division Method Learning: "Para Viewer," a viewer for data structure. 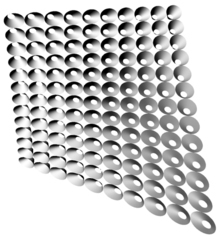 Questions: Instead of dividing domain, can I divide surface and retrieve the point data? I tried, but didn't work. Why? & How? 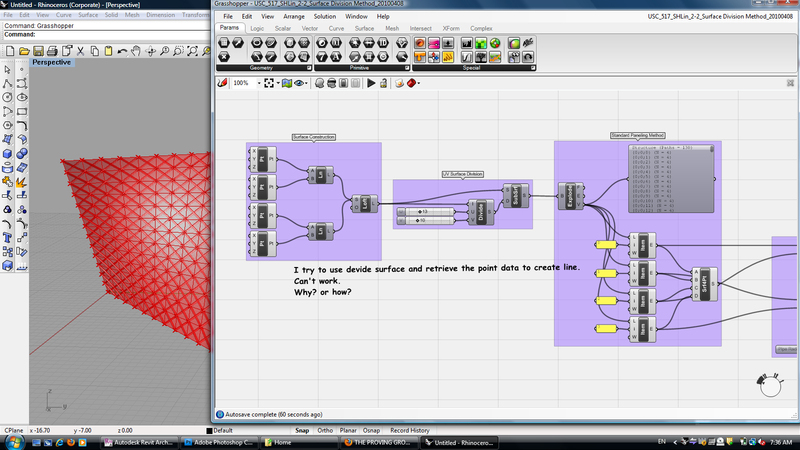 Box Morph Paneling_Square, Box Morph Paneling_Circle Learning: "BBox," Bounding Box; "SBox," Surface Box: create a twisted box on a surface patch. "Morph," Box Morph: Morph an object into a twisted box. 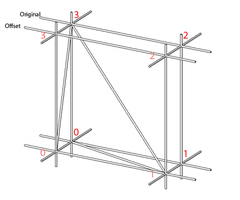 Space Truss Structure Tips: Use the diagram to identify the ID of vertexes.